1. Will this add an Exchange Transport action to allow encrypting e-mails as an action to an ETR? 2. Is it possible to add encryption natively to on-premise Exchange w/out using the cloud service? 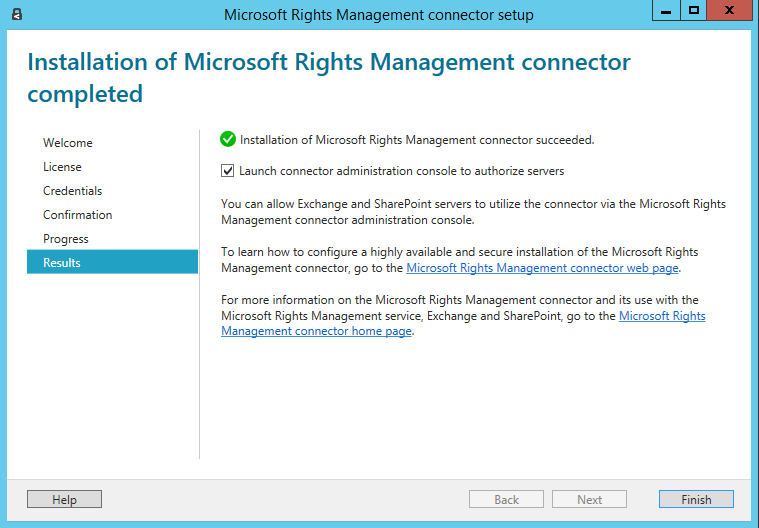 The ETR for Exchange is already present (rights protect message with RMS template). Just choose this after you have configured all the rest of the steps and choose the RMS template you want to protect content with. 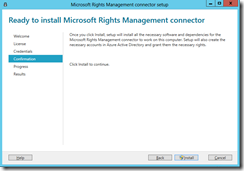 And for the second question, yes you can do encryption without using Azure Rights Management Service (the cloud one) and instead use ADRMS (Active Directory Rights Management). Disadvantage is that it is very complex to share keys externally with the on-premises RMS server. The cloud service authorises key release from the cloud (it does not store or require data or documents sent to the cloud) but allows you to share data encrypted with external parties. Great Article !! Simplified and explained in details . Followed all steps and RMS in place for us . Thanks . This error implies that something is not correct. I would double check everything. 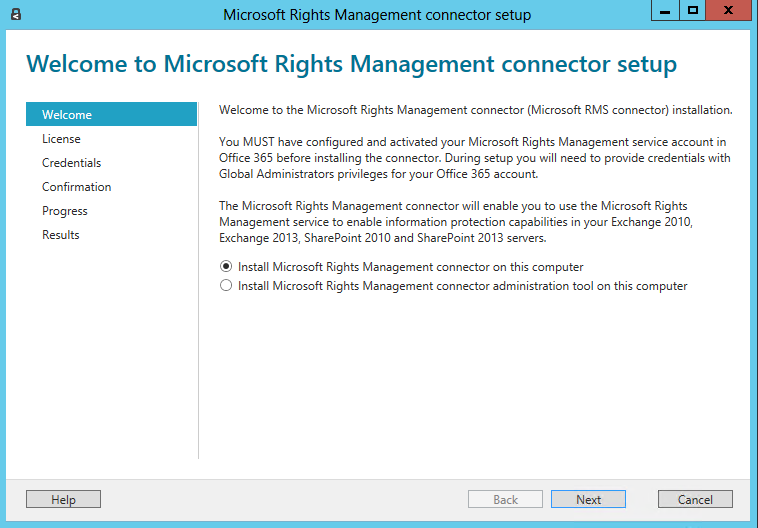 check that RMS is not already set up locally and that the accounts used are working fine. 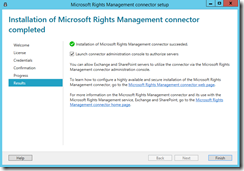 can I add an additional AZURE RMS connector after I had launched the connector administrator console and configured the servers to authorize? I believe so. Do you mean like to add HA after the installation and configuration? I know the docs say that you set up all the servers and then configure, but I have done the configuration and added servers afterwards in the lab. You have mentioned that install the VIP certificate in case the servers are behind the load balancer. What if the load balancer is doing SSL offloading and applies its own certificate on the VIP URL. Do I still need to replace the server certificate with VIP certificate? 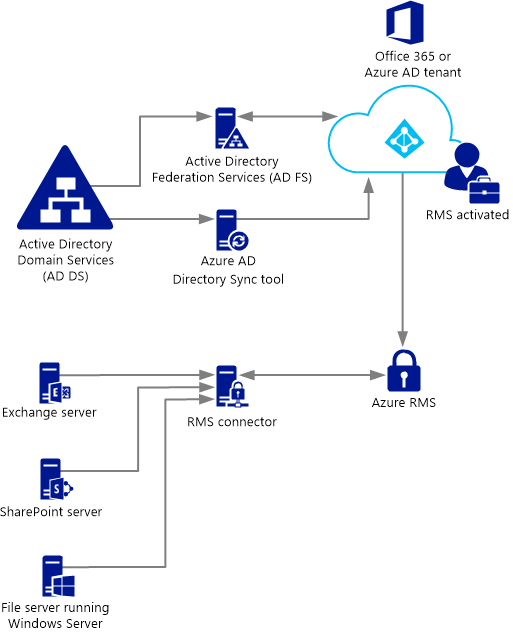 A customer is running On-Premises Exchange 2016 with CU 11 and i have set up Azure Information Protection (AIP) and it has also been integrated with On-Premises Exchange with set up of RMS connector. 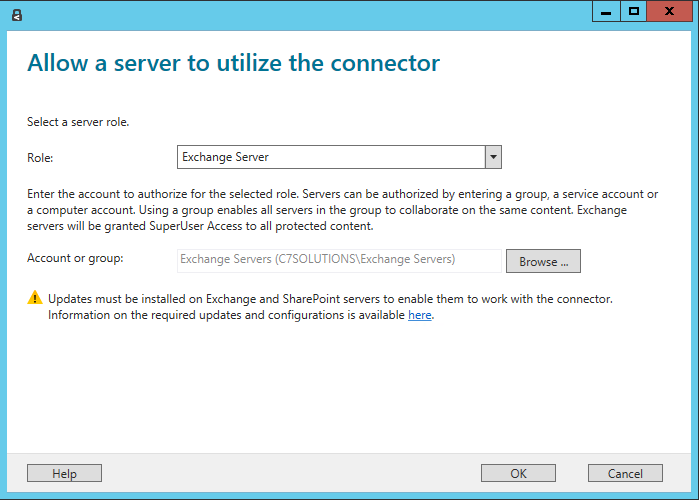 While evaluating different scenarios for AIP, we noticed that AIP policy templates are not appearing when users are connected to Exchange through Outlook Web Access (OWA). However; in OWA users can see “Do not forward” option. Secondly, Android users and iOS users when using native Apps or Outlook App are also not getting any AIP templates. 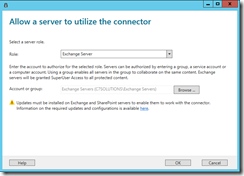 Exchange server from their Desktop/ Laptop. AIP for on-premises servers only supports the RMS component of such. See https://docs.microsoft.com/en-us/azure/information-protection/requirements-servers for this. Client software gets AIP add-in directly and so supports it regardless of where their mailbox is, but OWA on-premises will only show RMS templates (protection templates) and not the AIP label that may or may not contain a protection template. Hi brain, Microsoft knows that? I have the same issue of Sheeraz on premises side… They say that it should work. So aip label with protection should be seen on premises ….. But it doesn’t! Where do you see the statement that it should work please? Trying to confirm that it’s possible to use OWA 2010 to decrypt previously encrypted AD RMS content once migrated to Azure. We have configured our RMS Connector servers, configured the Exchange on-prem servers, Disabled the AD RMS SCP, and we had already imported our (AD RMS) TPD into Azure, and the Test-IRMConfiguration –Sender billy@contoso.com works fine, all PASS. We can create and consume Azure RMS content in OWA. 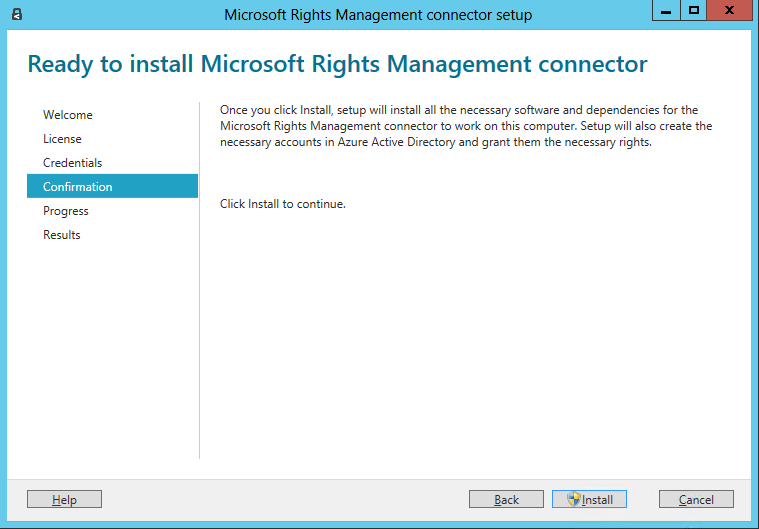 The issue is that only Azure Protected RMS content can be consumed, AD RMS content in OWA cannot be opened. We get the following error when opening different AD RMS protected emails. Consuming AD RMS content should work in OWA? 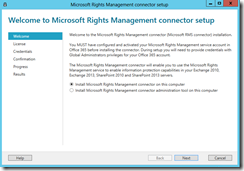 Your connector needs to be published to the internet and reachable from Azure Information Protection and Exchange Online. Your URI of devdomain.local is not internet routable.